While putting together yesterday’s post about Ferrari, I started trawling through some old clips of the great racers of the fifties and sixties. 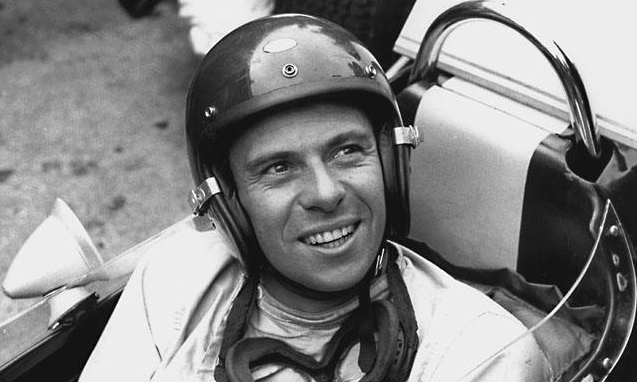 Such an exercise inevitably leads you to, in my opinion, the greatest driver of them all: Jim Clark. Had Clark been racing in the modern era there’s every chance he would have racked up a frightening selection of pole positions, fastest laps, race wins and Championships. Instead, in a time of almost non-existent safety precautions in motor racing, he was tragically killed at the old Hockenheim circuit in 1968. Here is a clip of him in action in 1963. Note the open-faced helmet and the lack of safety barriers and run-off areas on the circuit. But most of all, note the gloriously smooth car control. I would have loved to have seen him in action. Ferrari – Motor Sport’s most glorious marque? Ralph Waldo Emerson once said that “an institution is the lengthened shadow of one man,” and there are few institutions where the shadow was cast longer than at Ferrari, undoubtedly the most famous name in motor sport. Its founder, Enzo Ferrari was the giant figure who created the marque after a modest driving career, and then presided over the growth of a name which became synonymous with the romance, passion and tragedy of motor racing. In so doing, he created a sporting organisation which regarded itself naturally more highly than any of its competitors, and one which has often given the impression that it feels itself to be above the rules which everyone else must adhere to. Formula 1 is a different beast now from its 1960s heyday of glamour and danger (as memorably captured in John Frankenheimer’s 1966 film Grand Prix) but one constant remains: Ferrari. Ferrari have seen the other great names come and go (Cooper, Vanwall, Brabham, Lotus*, Mercedes*, Tyrell) and survived to become the most successful team in Formula 1 history. But little else about the sport is recognisable from those days. Whereas in the fifties and sixties Grand Prix racing was the preserve of wealthy enthusiasts, whose drivers regularly risked their lives for the thrill of racing, modern Formula 1 is a massive global industry in which very little is left to chance. The team budgets are huge (the larger outfits will spend in excess of $400m a year putting two cars on the circuit) and the ‘product’ is now carefully marketed on behalf of its sponsors for consumption by a global audience. It has always been said that the presence and competitiveness of the Ferrari team are crucial to this success, and this has often led people to believe that the sporting integrity of motor racing had, at times, been compromised to ensure that F1’s biggest name always remained in contention. Over the years I’ve been watching the sport events on the track have often been accompanied by rumours of rule-bending, illegal traction control systems and blatant disregard for the sport’s regulations, and there has always been the perception that Ferrari have been afforded special treatment over the other teams. Now Ferrari have once again found themselves in controversial territory after being referred to F1’s Motor Sport Council and fined a laughable $100,000 for the crude application of team orders in yesterday’s German Grand Prix at Hockenheim. 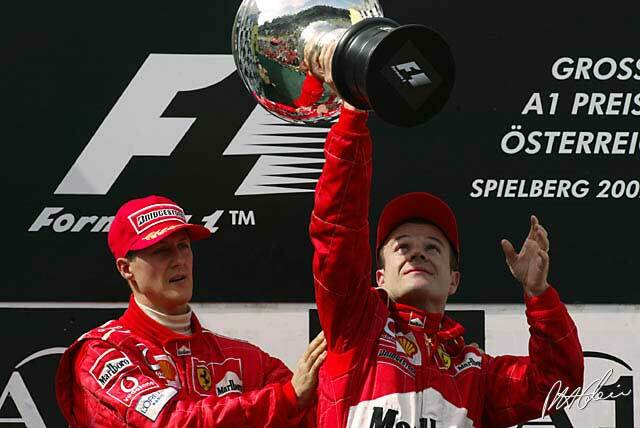 As a result of Ferrari’s previous arrogance with staged finishes at the 2002 Austrian Grand Prix, team orders are against the current rules in F1, and the FIA’s response to yesterday’s events – presided over by Jean Todt, former Ferrari Team Principal – will be keenly awaited by observers. Team orders are nothing new in Formula 1, of course. Many people forget that it is a team sport, often requiring drivers to ‘adjust their strategies’ to suit the team’s Championship aspirations, and this is perhaps understandable at the sharp end of a season. Yesterday was different because both Felipe Massa and Fernando Alonso are still technically in the title hunt with eight races to go. It should also be remembered that, as a result of the shenanigans in Austria in 2002, Rule 39.1 of the FIA’s code states: “Team orders which interfere with a race result are prohibited”. Regardless of the rights and wrongs of team orders, Ferrari clearly, blatantly broke the rules yesterday and they must surely be properly held to account as a result. Enzo probably wouldn’t see it that way though. I don’t own an HD TV, and when ITV Sport pull another missing-a-goal-through-cramming-in-an-extra-advert masterpiece purely for the benefit of their High Definition viewers, I have little reason to muster any envy for those who do. I can’t say I’m a fan of ITV Sport. They appear to have an unhappy knack of making any sporting event, no matter how prestigious, somehow seem cheap and just a little bit, well, crap really. And so it proved once again for the World Cup group match between England and the USA, with HD viewers missing Steven Gerrard’s early false dawn for England while ITV broadcast an advert instead. No doubt it was an honest mistake, but it started me thinking that perhaps HD viewers were the lucky ones – they had an extra couple of minutes without that most grating of living room intrusions: the condescending, skull-drilling squeal of a commentary delivered by ITV’s rambling, hysterical super-irritant, Clive Tyldesley. Tyldesley just about sums up ITV Sport for me: overly portentous, lacking subtlety and obsessed with Manchester United. He tries too hard to make a name and carve a niche for himself, and instead he ends up as the amateurish embarrassment one has to accommodate in order to watch a football match. And it’s not as if ITV have only recently become rubbish either. Everton fans will tell you that ITV Sport have previous when it comes to missing goals, but long before that we’ve cringed our way through Elton Welsby and The Big Match, (the at times truly bizarre) World Of Sport and – unforgettably – Saint chortling away at Greavsie’s latest ‘witty’ Italia ’90 t-shirts (example: “Gullit’s Bullets vs Voller’s Volleys – Rudi will rule Ruud”). Even their F1 coverage, which was often recognised as being innovative and surprisingly in-depth, was in no way lamented when the broadcast rights transferred to the BBC in 2009. In fact, quite the reverse. The BBC kept the bits that ITV did well (Martin Brundle and Ted Kravitz), lost all the stuff they did badly (commercial breaks during the crucial closing stages of races, being suckered into covering team sponsor’s promotional events as filler in the race build-up, Jim Rosenthal) and brought back Fleetwood Mac’s ‘The Chain’ as the theme tune. There was only ever going to be one winner. I must, of course, give ITV Sport credit for one thing at least – the late Brian Moore’s now legendary commentary of Arsenal’s last gasp title win at Anfield in 1989. Enjoy the 21 year old clip, and try not to think of the almost total absence of anything comparable from ITV Sport in the two decades since. Red Bull Racing’s act of self-destruction in today’s Formula 1 Turkish Grand Prix, when both their drivers managed to take each other out of contention from a winning position, allowed Lewis Hamilton, perhaps motor racing’s most acquired taste, through for his first victory of the year. But, and here’s the point, he is arguably the most outrageously talented driver currently in Formula 1. I grew up on a diet of British sportsmen who were nice guys but had the ‘Heroic Failure’ market sewn up (think Jeremy Bates, Gary Lineker and so on). Sure we had Nigel Mansell and Damon Hill, but you always had the impression that their successes (fleeting as they were) were almost entirely dependent on the fact that they happened to be driving the best cars in the sport at the time. Hamilton offers something a little bit different. Like all the great F1 drivers, he can wring something extra out of a car that otherwise wouldn’t compete. Last year’s McLaren was universally recognised as a dog of a car, among the worst the team had ever produced, and this was demonstrated by Heikki Kovalainen’s noticeably poor season as Hamilton’s team-mate. Hamilton on the other hand consistently scored points with the car, ending the season as the clear form driver in the sport. Hamilton may not win the Drivers’ crown this year. The Red Bull team and their drivers, Sebastien Vettel and Mark Webber look to have the best car this season, and Hamilton’s team-mate, Jenson Button, has taken to McLaren better than anyone imagined. But all of that is just the sort of challenge that brings the best out of Lewis Hamilton. On the track he always seems to be at his most potent when he’s chasing a lost cause and so it may prove with this year’s championship contest. There are a number of supremely talented drivers in Formula 1 (don’t believe the cynics – it’s anything but boring) and it’s always a pleasure to see them at their best. But nothing makes me smile more than seeing Lewis Hamilton look down on his critics from the top step of the podium. Fans of Formula One will have heaved a huge sigh of relief at the sport’s return to form at this morning’s Australian Grand Prix. After the crushing tedium of the season opener in Bahrain, Melbourne delivered an altogether different slice of entertainment. F1 isn’t everyone’s cup of tea, of course. Most will complain that it is too processional, that it’s all about the car, and that you will see more overtaking in Moto GP, Nascar, Indy Racing etc, etc, etc. All of that is quite often true, but Formula One is not supposed to be like other forms of motor racing. F1 is a technical formula, more so than any other type of racing, and a large part of the challenge is to find a technological solution in order to win races. There is less passing than in many of the alternatives, but I don’t think that’s necessarily a bad thing. Overtaking in F1 is hard, that’s what makes a successful pass more exciting, more of an achievement. Mika Hakkinen’s relentless pursuit of Michael Schumacher at Spa in 2000 was far more exciting for me than watching the lead change hands half a dozen times each lap in other forms of racing. For the F1 fan, the Australian Grand Prix was (mercifully) a wonderful advertisement for the sport. There was plenty of overtaking, the teams faced the technical challenge of adapting to uncertain conditions and the drivers had to use all their skill to deal with a slippery track. There were also scrapes, spins and the odd tantrum over the radio link. Jenson Button put in a majestic drive to win the race comfortably in his McLaren. I’ve previously speculated that Button might struggle in the shadow of his team-mate, Lewis Hamilton, but there were no signs of that in Melbourne. Admittedly Hamilton’s race was hampered by a poor strategy call from McLaren and a driving error from Red Bull’s Mark Webber, but his mini-rant over the radio to his engineer betrayed signs that perhaps he was more than slightly fazed by the performance and strategy of his cool-as-a-cucumber team-mate. It will be very interesting to see how he responds over the coming races. Sebastien Vettel’s early-season run of poor luck continues, but I still believe he is a really special talent with a wonderful future in Formula One. Michael Schumacher and the Mercedes team still look short of sharpness but it would be foolish to write off a pairing (with Ross Brawn) who delivered seven Driver’s titles in their heyday. And (I’ll show my bias here) it was lovely to see Ferrari not having everything their own way today. Formula One has much going for it but it only ever works as a competitive spectacle when the teams are closely matched. Many feared the worst after Bahrain, with everything pointing to a season of Ferrari dominance, but Australia has demonstrated that there are three teams (McLaren, Red Bull and Ferrari) who look very competitive with Mercedes and Renault not that far behind. More of the same please, Formula One. The return of Michael Schumacher to Formula 1 and his spiritual home of Mercedes may fill many motor racing fans with dread that he and Ross Brawn will repeat their Ferrari trick of the early part of this decade, and bore their way to Championship dominance (naturally bending the rules along the way, the cynics might note) rendering Grand Prix afternoons as nothing more than a chance to catch forty winks between the pit stops. Non F1 fans will doubtless already share this analysis. 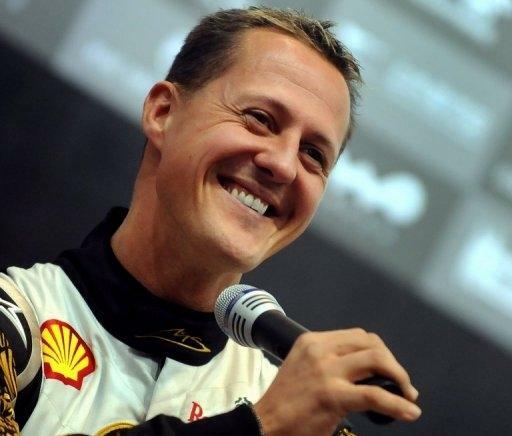 As someone who kept faith with the sport throughout the depressing (for some) years of Schumacher dominance I have to say that I’m actually quite looking forward to his return, and I think 2010 has the potential to be the most exciting season for many years. What looks set to make next season so potentially interesting is the possibility that there will be at least three (and probably four) constructors capable of producing a Championship winning car. It goes without saying that Mercedes, as last season’s Champions under the Brawn GP badge, have a strong foundation upon which to build and Red Bull’s Adrian Newey-designed car should also continue to compete for honours. McLaren, starting last season with one of the worst cars the team has ever produced, arguably finished the year with the strongest car on the grid and while Ferrari’s season was hugely disappointing by their own extremely high standards, it would be foolish to write a team of such unrivalled resources out of the equation. So what of the drivers? No one needs reminding of the extraordinary standards set by Schumacher during the glory years and it would seem inconceivable that he would have returned if he didn’t expect to be competitive. Nevertheless we shouldn’t be surprised if it takes a few races for the sharpness and reactions to return to the old levels. On the other hand his team-mate, Nico Rosberg, will have a golden opportunity to watch the old master at work without suffering from any undue burden of expectation in the shadow of the seven-time Drivers Champion. Expect the Red Bull pairing, especially the outrageously talented Sebastien Vettel, to be looking for race wins from the start, and there could be a very interesting duel at Ferrari between Felipe Massa and his new team-mate, the double World Champion Fernando Alonso. If the Ferrari is competitive Alonso’s greater talent should see him with the advantage over the more erratic Massa, although the Brazilian is very well established in the team and will certainly expect to make an impact. Perhaps the most fascinating pairing is that at McLaren. Last season’s Champion, Jenson Button, brings the Number 1 to the team alongside 2008 Champion Lewis Hamilton (in my opinion the most talented of all the current F1 drivers) and looks to have an unenviable task on his hands. 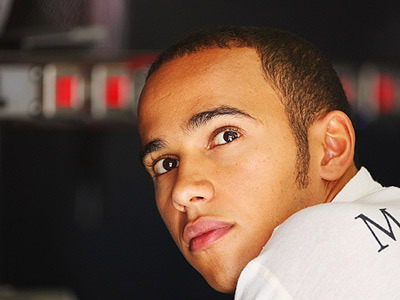 Hamilton has been with the team since he was a boy, the car is built around him and (if the team are competitive) will expect to be fighting for the title from the very beginning of the season. Button, on the other hand, will need time to settle and to learn the intricacies of both the car and the team. In truth, I fear for him this season – I fully expect Hamilton to beat him by a substantial margin on a very regular basis. The major winner of his move from Brawn GP will surely be the McLaren team who will have the marketability of two British Champions to trade on; it’s very difficult to see how Button gains from all this. So who’s going to win the title next year? It’s traditionally a foolish game making such predictions before the new cars are unveiled but, all things being equal, I would expect Hamilton to be the man to beat during the coming season. Having said that, Vettel has the look of the dark horse about him and Schumacher should enjoy a strong second half of the season as the old Brawn/Schumi magic comes back up to speed. Ferrari must surely improve on last year but I suspect they may have just a little too much catching up to do. It’s difficult to predict with any certainty who will emerge as Champion Team and Driver next year, but that surely has to be a good thing. It’s good to have you back Michael, but I hope you’ll find things a lot less predictable than they were a decade ago.